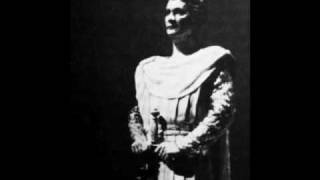 Don’t write off this live 1948 Lohengrin (sung in Hungarian) as a mere curiosity. Yes, the sound is just so-so, and the singers are solid and involved, but not world class. 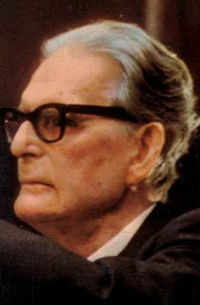 What emerges through and through is Otto Klemperer’s imposing and vital podium presence. The orchestra plays with uncommon rhythmic and dramatic alertness, and the choral work is, for the most part, impressively disciplined. Listeners accustomed to the severe, slow-motion Klemperer recordings from the 1960s will be shocked at the conductor’s near-breakneck speeds at times. Even the spacious Act One Prelude and introspective moments in the third act Bridal Chamber Scene murmur with nervous energy. Note that the Klemperer Lohengrin once appeared on Hungaraton LPs, in slightly brighter sound, along with contextual annotations replaced here with a synopsis of the plot. If this recording’s appeal is destined to be limited to specialists, it fills an important gap in Klemperer’s operatic discography, and proves that the old man could be a dynamo in the theater. The radio wanted to record this performance. Simándy was splendid, the audience wanted a repetition and clapped continuously, Klemperer did not want to stop. Finally he angrily stopped the performance, shouted “Frechheit!” (Impertinence!) and left the podium. It lasted several minutes to make him come back and finish the opera.